Thursday March 23, 2017: Sharon connects with Scott, Nick becomes curious about Adam’s death, and Kevin seeks Michael’s blessing. At Crimson Lights, Sharon thinks Scott looks frustrated and suggests he take a walk. He speaks briefly to Chelsea on his way out. Chelsea confides to Sharon that she owes Nick an apology; she cut their night short. Sharon reveals she went back to college but Chelsea’s attention wanders. She tells Sharon about Nick giving her Sage’s inheritance, which brought up memories. “It’s been six months since Adam…” Sharon is supportive and assures her Nick understands. Later, Scott returns and pulls up a chair to help Sharon with her essay. He compliments her work and urges her to hang out with people who boost her confidence. In the ranch living room, Nick tells his mother how Chelsea went into a tailspin last night after Adam’s name came up. He mentions the explosion – what if it wasn’t an accident? Nikki insists Paul and Dylan were thorough. She shudders to think if Chelsea and Connor had been there, and wonders who would have tried to kill Adam. Nick flashes to Scott saying Chloe told him something life-changing happened six months ago. In the Club dining room, Chloe unconvincingly insists she’s not hungover. Kevin notes she acted like she was celebrating something last night. She says, “I was.” Kevin asks about her nightmare. Chloe shrugs it off. She leaves as Michael appears and joins his brother. Kevin stuns Michael by blurting that he’s going to propose. Michael argues if they need three times to get it right, they’re not compatible. Kevin angrily asks for his brother’s blessing and cites the improvement in Chloe. Michael snaps that Adam’s death likely helped with that, and Kevin is irked. He works relentlessly to convince Michael that Chloe has turned her life around. Michael finally relents and they embrace. 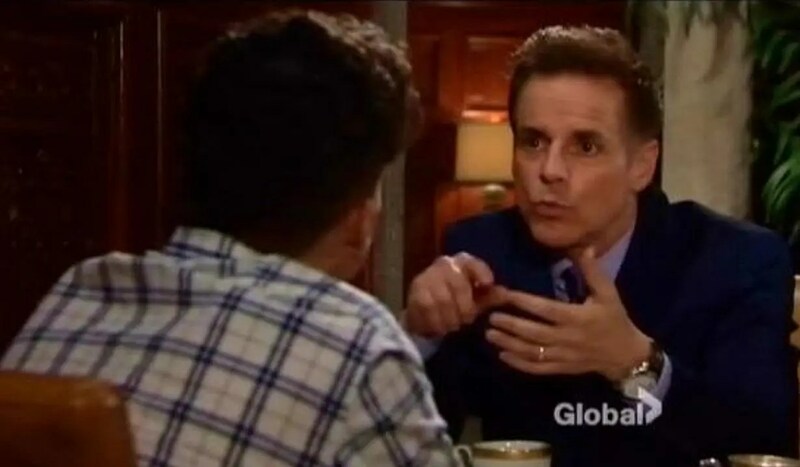 At Jabot, Jack is angry with Gloria over the video. Gloria gets her back up and snarls at him across the desk that this little fiasco got him to focus on the men’s line and they can do great things. Glo adds that in his spare time, he can stick it to baby brother, and trots out. Vikki arrives at Brash & Sassy, where Billy’s finishing his presentation for the pro hockey representative. He compliments her on schooling Jack yesterday. Billy tries to thank her for sticking up for him but she gets a call. After, Gloria arrives to confront Victoria about using the video to manipulate Jack. Vikki mocks her attempt to stand by her man, and warns if things escalate, there will be blowback that will hurt Jack more than Billy. Billy returns to Brash & Sassy and before leaving for Toronto, thanks Victoria for defending him; it felt like it came from her heart. Victoria remains silent. Billy kisses her and then breathlessly says he has to catch his flight. In the penthouse, Chelsea opens up to Chloe about her night – all she could think about was the explosion. She reveals that Nick gave her Sage’s inheritance from Constance and Chloe blurts, “Give it back.” She rants that Adam’s linked to that money. “You can’t keep it.” They bicker as Chelsea says Constance wanted Sage to have it; the majority went to charity. Talk turns to Adam’s death. Chloe inadvertently reveals that there was a view of the lake from the cabin porch, but covers by insisting Chelsea told her that. Nick arrives. In a moment alone, Nick gets testy when Chloe suggests Chelsea should forget Adam. After, he looks thoughtful and picks up Connor’s dinosaur, which has a hole in it. He and Chelsea are stunned when he finds a device inside. More: John Leguizamo, Jude Law and Matt LeBlanc on Live with Kelly. At Top of the Tower, Nikki sees Jack order a drink and talk turns to Ashley bringing Ravi to the opera. Jack is grouchy and Nikki observes that it usually takes Victor to get him this worked up. Jack grimaces. 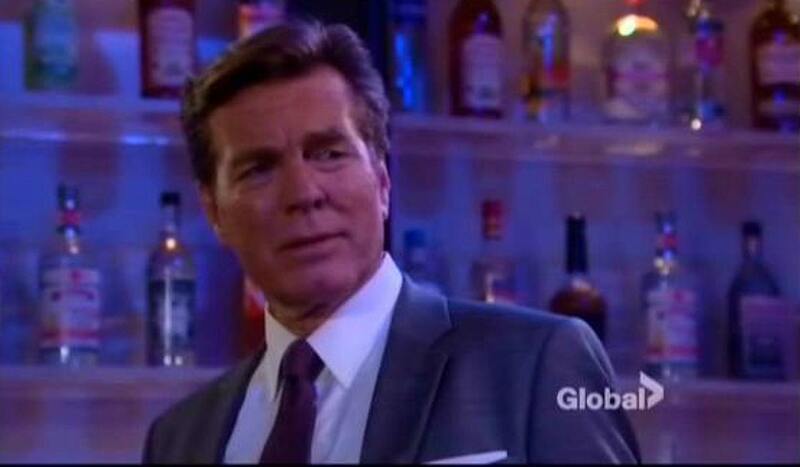 He snaps about Nikki settling for fading away into retirement with Victor. She narrows her eyes – is he just a big ball of resentment? At Crimson Lights, Chloe and Sharon commiserate over the challenges they’ve faced and discuss the importance of therapy.